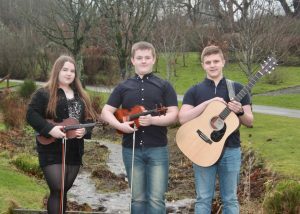 This trio of multi-instrumental teenage siblings, from Kirkwall, have been performing together for seven years, and have recently turned their hands to tune-writing. Magnus and Jessica lead on the fiddle, whilst Graham accompanies on guitar, creating delightful sets that regularly go down a treat throughout Orkney. The trio were also recent guests of the Caithness Accordion and Fiddle Club.